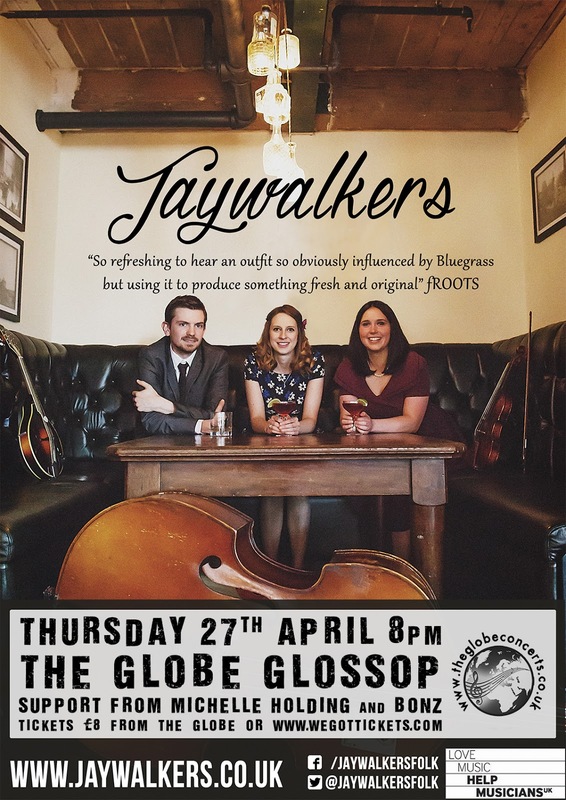 Since reaching the finals of the BBC Young Folk Awards in 2008, Jaywalkers have cemented their place as one of the most exciting, virtuosic and entertaining young bands working on the British Folk scene. 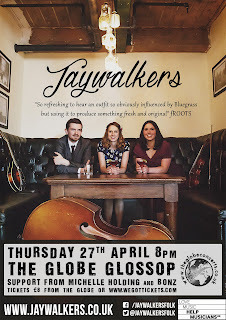 Effortlessly creating a unique sound based on their collective and individual musical backgrounds, the band takes influence from Folk, Bluegrass, Country and Western Swing music in the form of virtuosic instrumentals, three part harmony and impressive slap bass. Add good humour, tasteful arrangements and exceptional musicianship to the mix and they are guaranteed to put a smile on your face…. The music Jaywalkers create is in­novative, rooted deeply in tradition, and exhilarating. The Globe looks like a very happening place with all the performances and activities that take place. Getting the Jaywalkers to perform was a very smart idea on your part as they will definitely be bringing in a large crowd. Hope all goes well for you!